THE SITE for everything you ever wanted to know about Gloster Fancy Canaries! René Alssema's Gloster Site Direct from The Netherlands! Best darned Gloster Site In Italy!! THE AVICULTURAL ADVANCEMENT COUNCIL OF CANADA, The Official Canadian National Website Dedicated To The Advancement of The Fancy!! Join Today!!! Paolo Boldrini's Gloster Site Direct from Italy! Hugo Tome's Portuguese Gloster Site - CASA DO CANARIO GLOSTER!! Frank's Super Fife Fancy Web Site Direct from Berlin, Germany!! Herman Leysens's Super Belgium Gloster Site!! An Unbelievable Norwich Website in Turkey!! Check it out!! UBART DESIGN A Great Site of Canary Statuary & Other Items Sure to Please!! If you have or are thinking about wanting Waterslagers, you'll want to join this club! If you have and/or love Spanish Timbrados, you'll want to join this club!! Here's the finest Fife Canary site in the United Kingdom! Here's a FANTASTIC FINCH SITE you don't want to miss!! 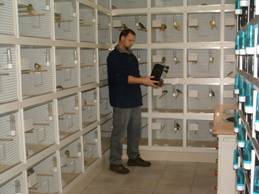 THE SOURCE for Fine Antique Bird cages & so much more!! The Leaders In Online Lead Generation...Your SEO Company of Choice! THE SITE you don't want to miss for everything you ever wanted to know about Gloster Fancy Canaries! 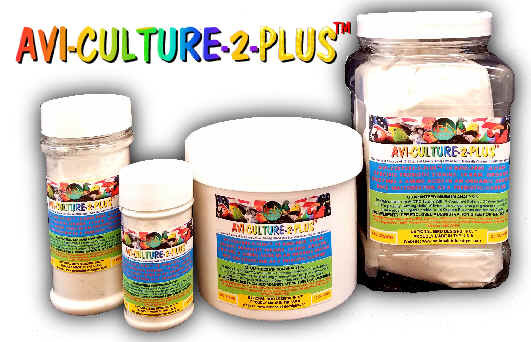 After over 42 years of success with the original AVI-CULTURE we proudly present AVI-CULTURE-2-PLUS™!! Check out the expanded PRO-LIF™ Probiotic/Enzyme/Amino Acid/Prebiotic Line!! PRO-LIF™ Probiotic - Living Intestinal Flora specifically developed for ALL CATS, KITTENS, DOGS & PUPPIES!! PRO-LIF™ Probiotic - Living Intestinal Flora specifically developed for ALL REPTILES & AMPHIBIANS!! PRO-LIF™ Probiotic - Living Intestinal Flora specifically developed for ALL RABBITS, GUINEA PIGS & SMALL RODENTS!! Try Google right here if you can't find what you're looking for on the pages listed above! Go ahead, type something in the search box below! Like, for example, type in the words: Gloster Fancy Canaries or Champion Gloster Fancy Canaries and let's see what appears!